Cheap Price Patio Resin Wicker Hanging Egg Shaped Garden Chair with Stand I. Product Name Cheap Price Patio Resin Wicker Hanging Egg Shaped Garden Chair with Stand Item No TF-9712 Material PE rattan, Power coated Steel, Waterproof repellent fabric Size Frame size 120*120*200cm , Chair size 77*72*127CM G.W. We trust our customer as partners, highly appreciate our friendship, and try our best to help them to expand their business. 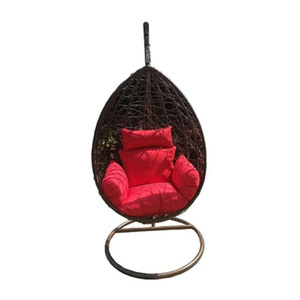 Mengcheng Hengxin Outdoor Co., Ltd.
Alibaba.com offers 893 hanging egg chair cheap products. About 70% of these are patio swings, 12% are rattan / wicker chairs, and 8% are living room chairs. 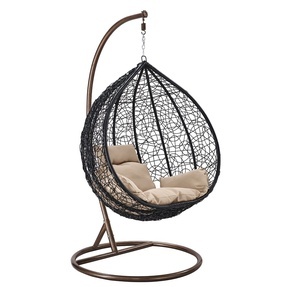 A wide variety of hanging egg chair cheap options are available to you, such as metal, fabric, and rattan / wicker. You can also choose from outdoor furniture, home furniture. As well as from free samples, paid samples. 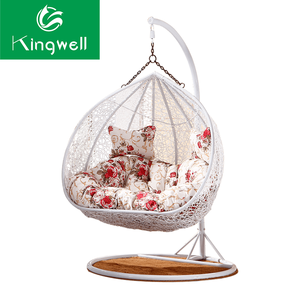 There are 895 hanging egg chair cheap suppliers, mainly located in Asia. The top supplying countries are China (Mainland), Vietnam, and Slovenia, which supply 99%, 1%, and 1% of hanging egg chair cheap respectively. 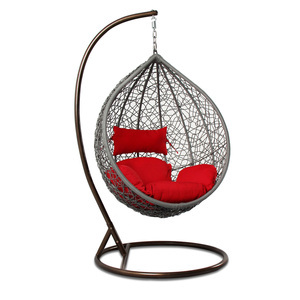 Hanging egg chair cheap products are most popular in North America, Western Europe, and Eastern Europe. You can ensure product safety by selecting from certified suppliers, including 43 with Other, 37 with ISO9001, and 11 with BSCI certification.